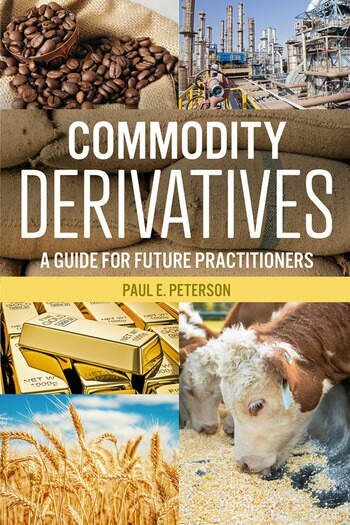 Commodity Derivatives: A Guide for Future Practitioners describes the origins and uses of these important markets. Commodities are often used as inputs in the production of other products, and commodity prices are notoriously volatile. Derivatives include forwards, futures, options, and swaps; all are types of contracts that allow buyers and sellers to establish the price at one time and exchange the commodity at another. These contracts can be used to establish a price now for a purchase or sale that will occur later, or establish a price later for a purchase or sale now. This book provides detailed examples for using derivatives to manage prices by hedging, using futures, options, and swaps. It also presents strategies for using derivatives to speculate on price levels, relationships, volatility, and the passage of time. Finally, because the relationship between a commodity price and a derivative price is not constant, this book examines the impact of basis behaviour on hedging results, and shows how the basis can be bought and sold like a commodity. The material in this book is based on the author’s 30-year career in commodity derivatives, and is essential reading for students planning careers as commodity merchandisers, traders, and related industry positions. Not only does it provide them with the necessary theoretical background, it also covers the practical applications that employers expect new hires to understand. Examples are coordinated across chapters using consistent prices and formats, and industry terminology is used so students can become familiar with standard terms and concepts. This book is organized into 18 chapters, corresponding to approximately one chapter per week for courses on the semester system. Paul E. Peterson is a Clinical Professor of Finance at the University of Illinois at Urbana-Champaign. His primary focus is futures and options markets, particularly in relation to commodity prices and risk management. Other interests include marketing practices and pricing issues.